Procurement excellence is increasingly becoming an important factor in delivering efficient operations. Procurement Analysis lets you streamline your procurement administration and is a fundamental part of the Supply Chain solution. OneView will give you the tool to make your decisions faster by giving a real-time visualization of procurement performance on a single screen. And many more to strengthen your procurement process. 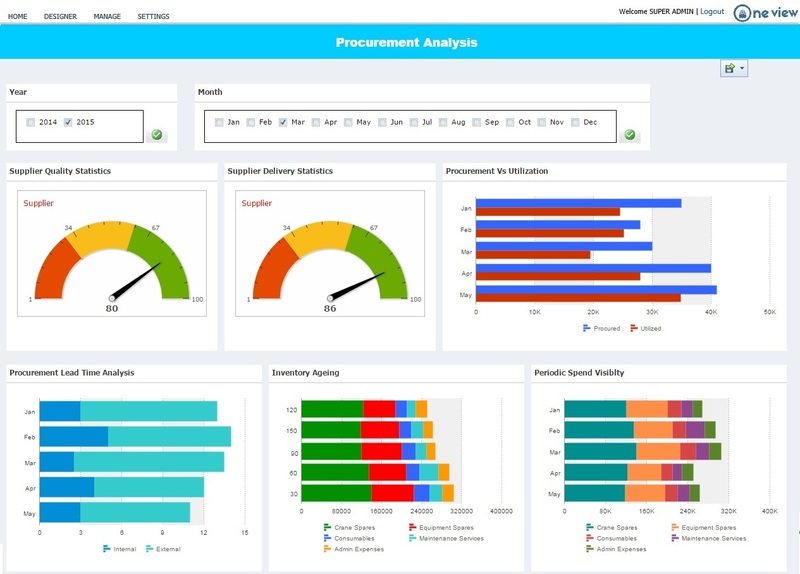 Oneview can provide the visibility and insight needed to improve procurement performance. Thus, enabling the procurement manager to drive the procurements efficiently this will participate at improving the productivity of an organization.